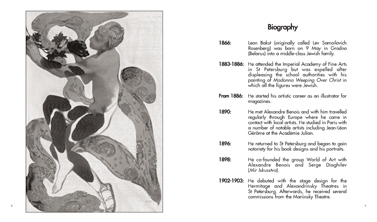 Léon Bakst (1866-1924) was a painter, illustrator, stage and costume designer. 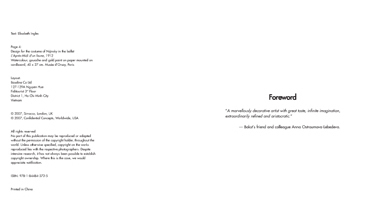 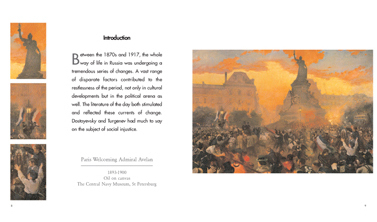 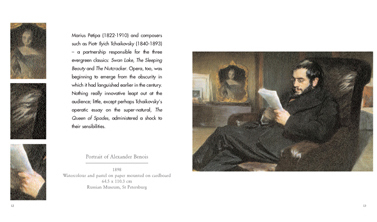 He is universally acknowledged for representing a synthesis of creative energy in the late 19th and early 20th centuries. 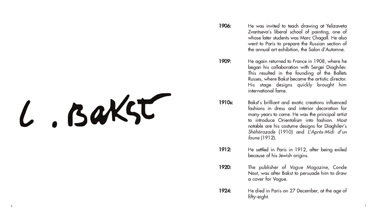 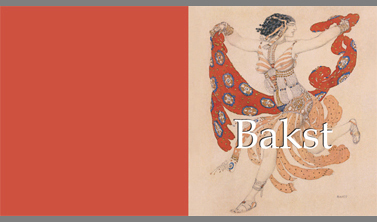 Bakst travelled widely throughout Europe and in 1890 joined the World of Art journal circle which numbered many artists among its members, the most famous being Benois and Diaghilev. 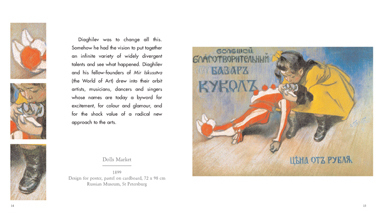 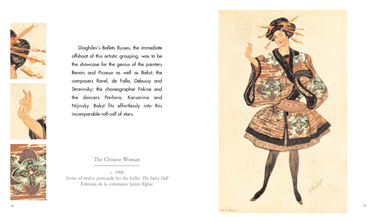 This book illustrates the wealth of Bakst’s contribution to the world of theatre and dance. 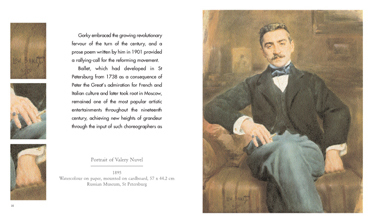 His best known work includes sets for Stravinsky’s Firebird, and Weber’s Spectre de la Rose.